The good news is that the USA is finally out of debt. The bad news is that we were bought out by Valor National Bank, and debtors are the new big game, thanks to a tricky little clause hidden deep in the fine print of a credit card application. Now, after a swift and silent takeover that leaves 9-1-1 calls going through to Valor voicemail, they're unleashing a wave of anarchy across the country. Patsy didn't have much of a choice. When the suits showed up at her house threatening to kill her mother then and there for outstanding debt unless Patsy agreed to be an indentured assassin, what was she supposed to do? Let her own mother die? Patsy is forced to take on a five-day mission to complete a hit list of 10 names. Each name on Patsy's list has only three choices: pay the debt on the spot, agree to work as a bounty hunter, or die. And Patsy has to kill them personally, or else her mom takes a bullet of her own. Since yarn bombing is the only anarchy in Patsy's past, she's horrified and overwhelmed, especially as she realizes that most of the 10 people on her list aren't strangers. Things get even more complicated when a moment of mercy lands her with a sidekick: a hot rich kid named Wyatt whose brother is the last name on Patsy's list. The two share an intense chemistry even as every tick of the clock draws them closer to an impossible choice. Delilah S. Dawson offers an absorbing, frightening glimpse at a reality just steps away from ours - a taut, suspenseful thriller that absolutely mesmerizes from start to finish. ©2015 Delilah S. Dawson. All rights reserved (P)2015 Simon & Schuster, Inc. All rights reserved. What did you like best about Hit? What did you like least? I bought this one on a complete whim with no research so I had no idea that Hit was the first installment in a series. Be prepared to be scratching your head in confusion for a good chunk of this book. I found myself desperate for the bread crumbs of information that Dawson would throw the reader every now and then. 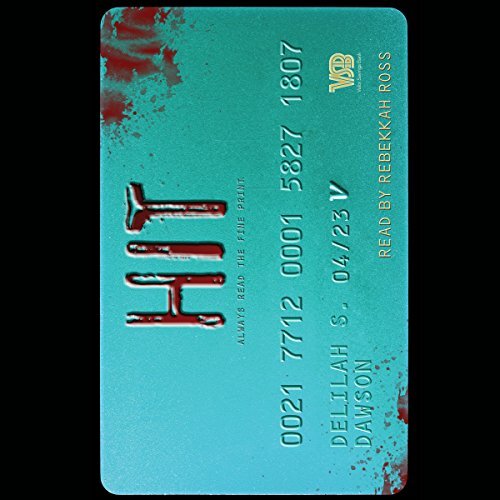 Short N Sweet: Hit is a non-stop thriller that paints a dark future that doesn't seem so out-there. 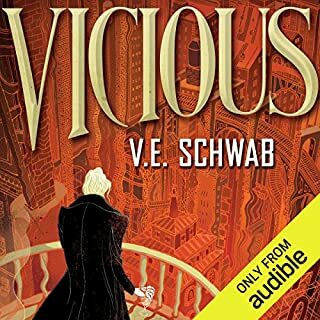 I personally recommend the audiobook edition, because I believe the narrator delivers a level of humanity that can't be read on the pages. Yes. 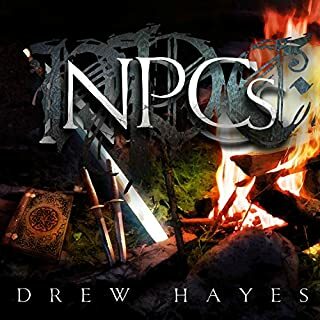 Dawson’s writing style is fast paced and easy to understand, a plus for an action novel. There are elements of comedy and romance woven unobtrusively throughout. It’s a coming of age story. It’s a mystery. It’s an action adventure road trip thriller. It’s less genre blending and more genre smoothie making, but the result is quite tasty. What was one of the most memorable moments of Hit? The imagery of the first scene. "I will survive the next five days" is part of one of the best first lines that I've read in a while. She truly exemplified the character of Patsy, managing to pull off quirky-semi-sullen-but-mostly-cheerful teenage assassin. I look forward to hearing her (hopefully) read the next installment. A few of the scenes where Patsy does her collections. Don't want to give too much in the way of spoilers, but the treehouse was a good one. A lot of folks claim Hit is dystopian. That’s the part I find the most interesting about this book. It’s not really dystopian, not in the traditional sense. One of the most unsettling things about this novel is how normal everything is for everyone else. It’s pre-dystopian. You, as the reader, get to see the birth of a dystopia, and that’s really freakin’ cool. so off beet and so much fun. heat author and I can't wait to read more of her work. I first listened to her as a short story, in a short story set that i got to listen to an &quot;iron Druid&quot; story. Her story about the Bludmen (not vampires...but vampires) was SOOOO good, and i really hope they put more of her stuff on here. it does have a bit of romancy, teen angst in this one, where the main character is torn about her emotions for a boy, but it only makes it better!!! 2 big thumbs up! 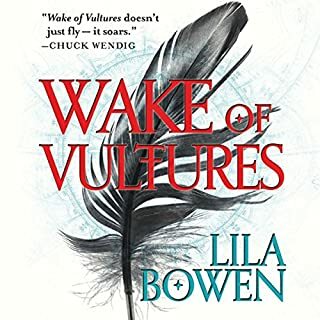 As a huge fan of Delilah S. Dawson's, I have now read and listened to this novel and vastly enjoyed it each time. I found the premise to be very interesting and realistic- considering the state of National and general personal debt, currently. The story is based on the near future, in which Valor National Bank has used their considerable monetary resources to bail the US out of all of our National debt. This, basically, seems to make each citizen debtor their property and they have decided to use America's youth as "agents", of a sort. The choice is this: pay back your debt immediately or become an indentured assassin for Valor. The only other outcome is death, at the hands of the assassin sent for you. The main character, Patsy, takes the job as an assassin for Valor, in order to save her mother's life. Her mother is the only person Patsy has ever been able to depend on, in her life, and she believes that she is prepared to do anything to save her. But is she really? As the job becomes more complex and she begins to notice connections to those she is sent to "collect" from, she wonders if there is more going on than anyone understands. I loved the way Delilah worked in these connections to create a rich and complex dystopian story, which has much more to offer us in the sequel, Strike, as well. She is, also, fabulous in dealing with difficult situations in a meaningful way, while injecting a bit of necessary levity. The ending just blew me away! Overall, Hit was a major literary HIT for me (if you will excuse the pun). What made the experience of listening to Hit the most enjoyable? 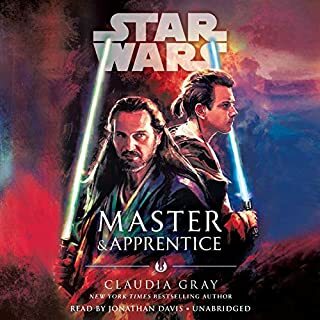 Well, I listened to it at work that is a great thing but the book kept surprising me when I thought I knew the way it was going, and the surprises were better than I expected. The mobile home fire and what the implications of the items found in that mobile home. 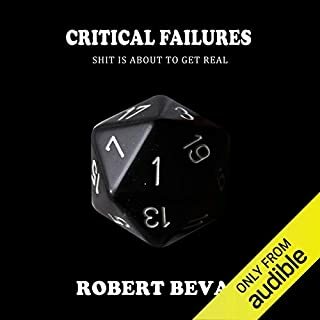 No, this is the first audio book of Rebekkak's I have listened too. Sure, I didn't plan it that way since I was listening to it at work, and I ran out of time, but I did finish it in one and a half sittings. 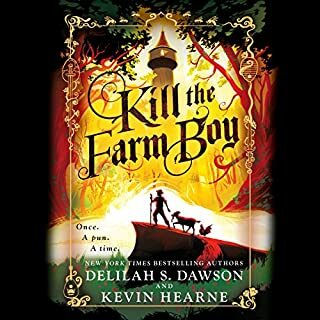 I heard of Delilah S. Dawson through another author I follow, Kevin Herne, and I am glad I took his recommendation to read her books. She is a very gifted writer. One of my top 3 favorite books. The storyline was amazing. I can't think of anything I disliked. A good read for anyone over 11. Great Start to New YA Series by Delilah S. Dawson! I came away presently entertained by this novel. Highly recommend!